the Gap: Consumer & Marketing Perspectives on Content in the Digital Age”. 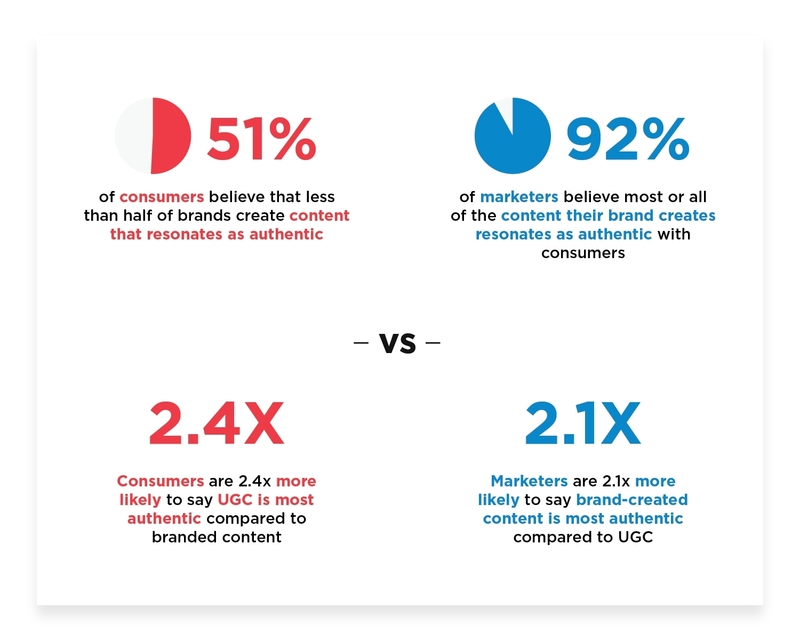 who create content experiences for consumers. marketers agree saying authenticity is very important to their brands. create content that resonates as authentic. brands they interact with provide personalized experiences. continually produce greater amounts of content at a higher frequency. shared their photo, video or post throughout its marketing. Mahoney, CEO & Co-Founder of Stackla. and follow us on Twitter at @stackla.